About 80 percent of brand managers agreed that packaging plays an important role in a product’s success and over half of them said that they would be investing in new packaging initiatives in the next five years. Packaging has been noted to be one of the best consumer-facing marketing methods in the food industry. As the first point of contact between a consumer and a product, packaging has a significant effect on the purchasing decisions of shoppers. Global management consulting firm, L.E.K Consulting, conducted a survey of over 200 brand managers and packaging decision makers at CPG companies regarding their upcoming packaging initiatives and their understanding of the effect of packaging. About 80 percent of brand managers agreed that packaging plays an important role in a product’s success and over half of them said that they would be investing in new packaging initiatives in the next five years. In addition, 22 percent of these survey participants plan to increase their packaging investments by ten percent in the next five years. On average, brand managers plan on spending at least six percent more on packaging initiatives during this time frame. About 49 percent of CPG companies involved in this survey introduced more sub-brands, products and SKUs, 59 percent launched new product and packaging innovations and 60 percent implemented new pricing and promotion strategies. Out of these companies, 65 percent of brand managers claimed that their product packaging has been affected by these changes. In regards to packaging trends, the marketing landscape is going through a transition. As more eco-friendly and ethical consumers continue to dominate the major consumer demographic, CPG companies have been incorporating these consumer values into their packaging initiatives. In fact, consumers have been found to be willing to pay extra for sustainable and mission-based packaging, which makes it easier for these companies to invest in quality packaging materials. About 40 percent of brand owners reported at least some sort of change towards eco-friendly packaging in the past two years, whereas the majority of respondents plan to incorporate sustainable packaging into a portion their product offerings in the future. Results from the past five years indicate that sustainable packaging not only benefits the environment and consumers, it also has a positive impact on the amount of revenue a company brings in. In fact, 23 percent of respondents said that healthier, natural alternatives were a top driver of growth and 23 percent claimed that environmentally friendly products had the greatest impact on their bottom line. In regards to top drivers of growth specifically, 46 percent of respondents said that offering healthier/natural/green products increased their brand growth in the past 5 years. 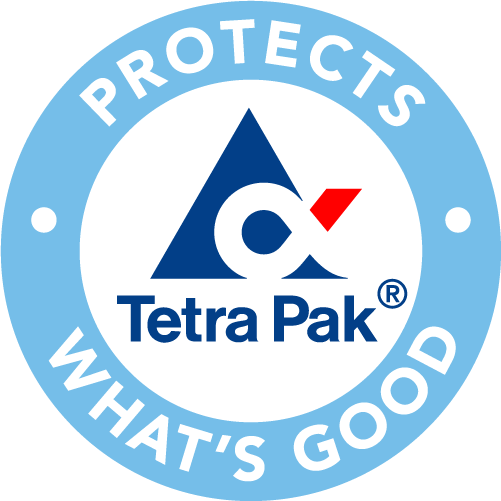 L.E.K consulting also found that short-term packaging initiatives are on the rise and are expected to continue to be popular during the next five years. This is because new and updated packaging campaigns tend to keep consumer attention. A lot of brands have been introducing new packaging for indicating new product offerings, product updates, new ingredients or special promotions. About 72 percent of respondents claimed that new sub-brands, products, SKUs or product and packaging innovations have affected their brand’s packaging over the past two years. Branded brand owners expect to launch an average of 57 new SKUs in the next five years, whereas private brand owners plan to release 38 new SKUs within that time period. Certain food companies have already been recognized for new packaging initiatives. Fairlife Milk, Ice Breakers Gum and Robert Mondavi Wine recently received food packaging awards. Beverage giant Coca-Cola has been noted to be investing a lot in new packaging initiatives such as their new Diet Coke packaging designs as well as their new Coke Stevia No Sugar packaging. Rival company, Pepsico, also introduced a new and colorful line of sparkling water beverages with unique salutations on their tabs. 7 Eleven is also standing out in this segment with their new self-chilling sparkling cold brew coffee beverages – a packaging initiative that is the first of its kind. Other major food companies that are investing in new and unique product packaging include Maple Leaf Foods, Kraft Heinz and Hellman’s, Mc Donald’s and Nestlé.